This album is indeed an oddity (and not a space one), dark and foreboding in places, rich in pop in other places. 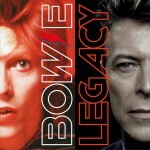 It probably doesn't stand out on the David Bowie map of a discography, but contains good music nevertheless. I tend to agree that Bowie's 1995's "Outside," probably won't get any nominations for the "Feel Good" soundtrack of the 90's. After all it is a concept album oddly enough built around this displaced and dislocated industrial future of crime and technology. It reeks of Matrix. It smells of The Blade Runner. It could be a soundtrack to a Tim Burton film. So you won't listen to this album all the way through as a "pick me up" on your drive home from the office, but one track or two may get you bumping and hopping across the dance floor. Though, Brian Eno produces and plays here, Trent Reznor's, of nine-inch-nails fame, stamp is all throughout. 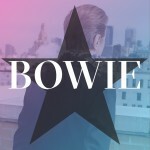 Bowie has indeed proved himself a chameleon of the changing musical landscape through time and he has done that change of colors well. His music in "Outside," reflects musical trends of electronica and darkness of the times. Standouts are the allure and lustiness and dance floor grind of, "Hearts Filthy Lesson," the pop radio-play and British-ness of "I have not been to Oxford Town," the 80's drive of keyboard pulse of "No Control," and finally the pump up piano-laced drum beat of "Thru' These Architects Eyes." 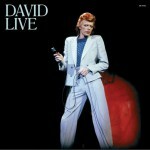 Certainly Bowie could have filtered through the songs, made a cut, and released this as a more popular well-selling pop album, but he didn't. That's the beauty though of an artist that has already made his mark. They are freed up to pursue their artistic bent of the time. Without that, in "Outside," we wouldn't have gotten the arty concept of a twisted story with seedy characters of "Baby Grace," "Algeria Touchshriek," and "Nathan Alder." 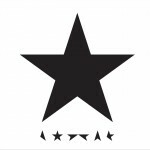 Granted some of us could do without the concept, but Bowie's music here holds interest and some songs should be ranked right up there with his best (though as a collection "Outside" will most likely be relegated to an obscure footnote).